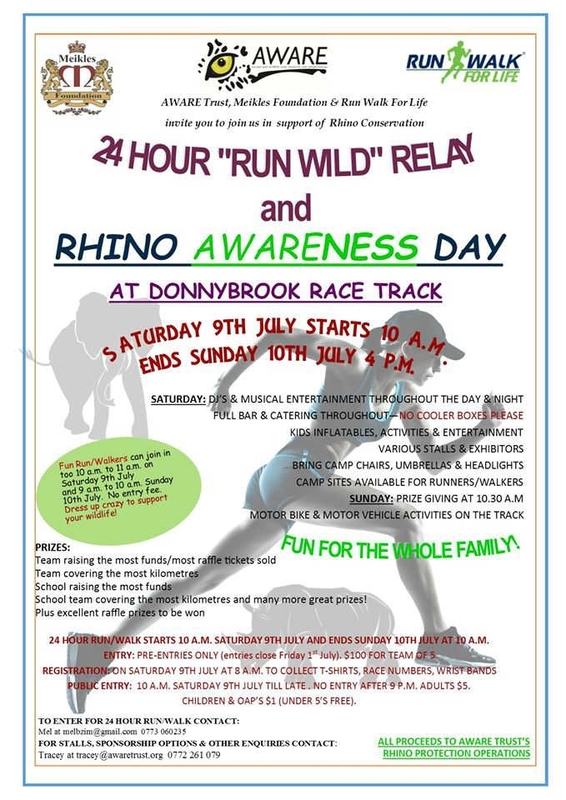 There will also be a Fun Run/Walk, so all those not up to the 24 hour Run Wild can still support. No entry charge for this, feel free to dress up or do anything you like! Fun Runners/Walkers will also set off at 10 a.m. Saturday 9th and you can run/walk for as long as you wish. One lap of the track is 2.75 km’s. The proceeds from the event will go to AWARE Trust’s Rhino Protection Operations and we hope you will show your support.